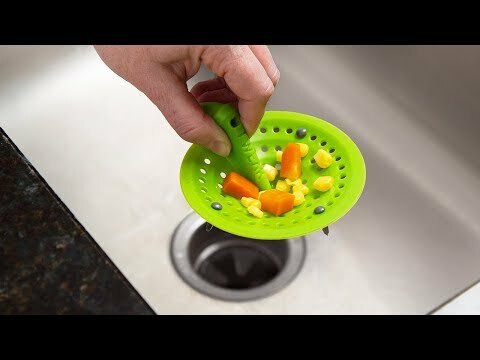 This flexible, silicone kitchen sink strainer makes it easy (and cleaner) to get rid of the leftover food bits that build up in drains. The design collects gunk (that’s the official term) while allowing water to still pass through. When the strainer is full, grab it by the pincher. 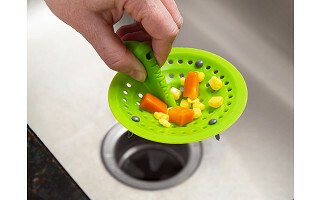 It will neatly scoop up that debris so you can handily toss it into the trash without having to actually touch it. 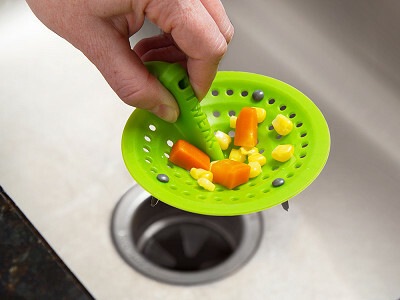 The strainer adjusts to fit different sized drains—it works in the bathroom, too—and is stain-resistant and dishwasher-friendly. That gets a clean-handed high five. Will TWEAK fit in my sink? Yes, TWEAK is designed to fit any drain with a diameter up to 11 cm / 4.3 in. What is TWEAK made of?